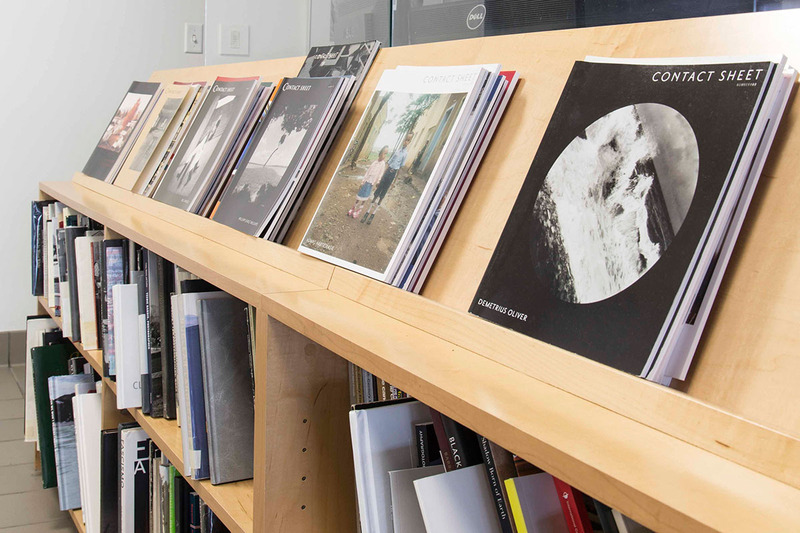 The Light Work Library includes a comprehensive collection of back issues of our award-winning photography journal, Contact Sheet, as well as a selection of publications by artists that have participated in our programs over the years. New issues of Contact Sheet are added to the library as they are published—five times per year—and we encourage lab members and visitors to browse the collection in our community lounge area. 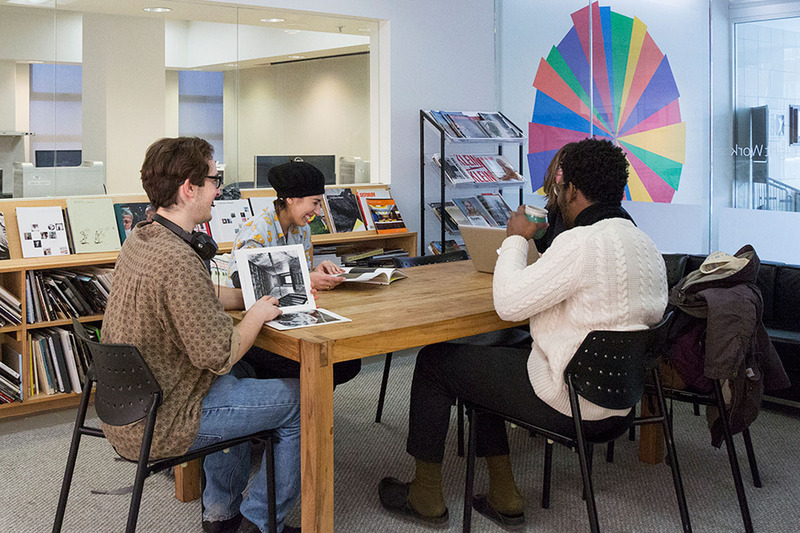 All other publications in the library are limited to titles by former artists-in-residence, exhibiting artists, and regional grant recipients. The Light Work Library celebrates the organization’s rich history and the diverse group of artists that we have had the pleasure to work with. The Light Work Library is open to the public, and we invite you to come spend some time looking! The library is located within the “lounge” area of Light Work Lab. When you come in, we’ll be happy to point you to it. We kindly ask all library visitors to be respectful of publications, handle all books carefully within the lounge area, and not to read while eating or drinking. Contact Sheet publications are kept in chronological order and all other books are filed alphabetically by last name. Please take consideration, and either make sure to correctly return the publication to the exact location where it was found, or simply place on the lower right shelf for us to re-file for you. I’m an artist or publisher. How can I donate a book? We have grown our library thanks to the generosity of many artists and publishers, and always welcome new donations as long as the book’s artist has a direct relationship with Light Work. If you would like to donate, please e-mail library@lightwork.org with the details of your publication, and we will follow up with more information. Thank you!